Back in March, I posted about my latest beauty buys and told you all about how I finally found a store which sells SheaMoisture products in Barcelona. Since starting my transition to natural hair, I have watched countless videos where SheaMoisture products were used and always wanted to try them out because everyone seems to have such great things to say about them. 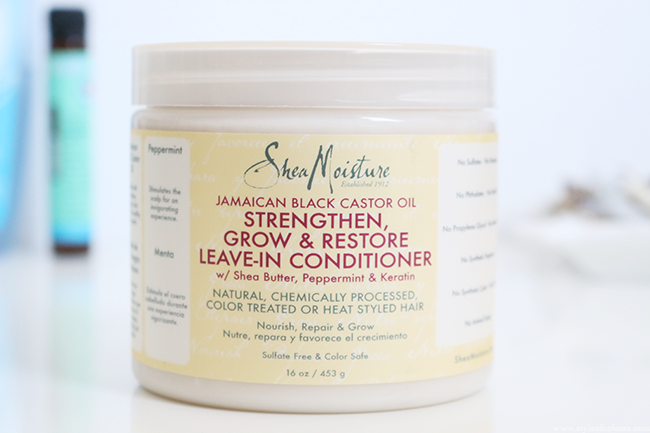 Now, I am finally no longer a SheaMoisture virgin, and my first review is on the Jamaican Black Castor Oil Leave-in Conditioner. This is my first leave-in conditioner which comes in a jar and to be honest I quite like it. There isn't the need to touch the bottle with stained hands because you need more product, which means no clean up needed after. I was excited to try this product because my girl Shannon from UK Curly Girl loves it, so I picked up the 500ml jar since it was the only size available. 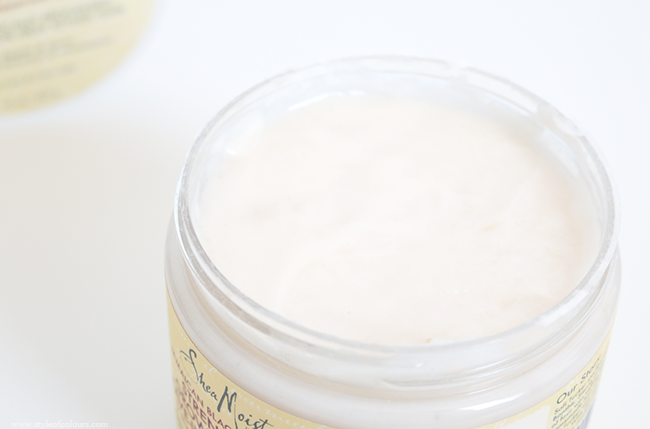 The product contains natural ingredients such as Shea Butter, Jamaican Black Castor Oil, Peppermint and more. It smells so amazing and you do not need a whole lot, although I personally am quite heavy handed with leave-ins because my hair is so dry. From the very first day I used it, I could tell it made a difference because it left my hair moisturized and soft. Usually my hair gets dry again after a day but this product properly hydrates my hair and gives it life for a few days. I have been using this non-stop since I got it and my friends have commented on how much better my hair looks. I think it is perfect for any curly hair type be it relaxed, transitioning or natural. For me, the product will last about 4-5 months, so even at €15 a jar, it is worth the result it gives. Although I wouldn't say no if this brand was slightly cheaper in Barcelona since there are lots of products I want to try. Likes - moisturizes the hair and leaves it soft and healthy looking. Available - SheaMoisture, Diva Beauty Supplier. 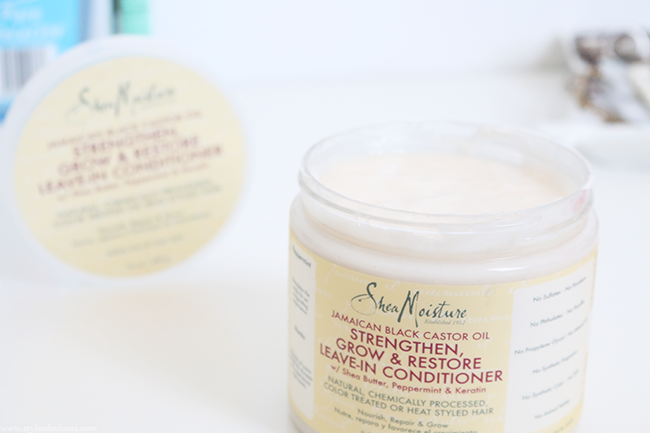 What are you favourite SheaMoisture products?